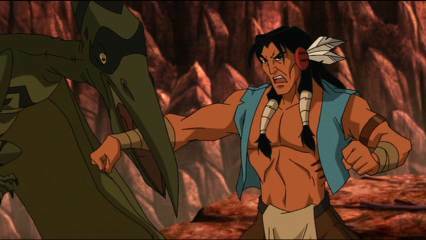 The Turok Son of Stone DVD. § February 25th, 2008 § Filed under turok Comments Off on The Turok Son of Stone DVD. 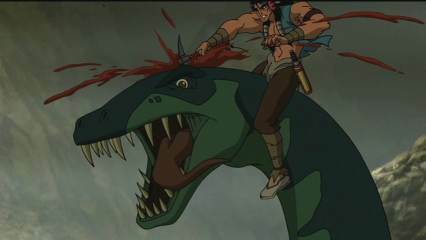 So I watched the Turok Son of Stone direct-to-DVD cartoon over the weekend, and…well, overall I enjoyed it, though it’s a bit different in tone from the comics I grew up with. 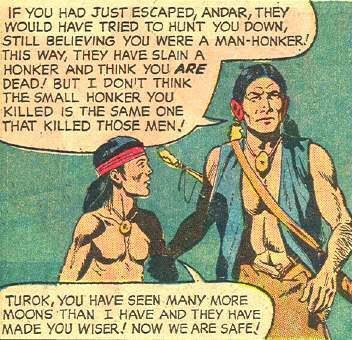 In the comics, Turok was more of a rational father figure to his young companion Andar, attempting to teach by example, and often presented as a civilized counter to the savage Lost Land and its primitive inhabitants. 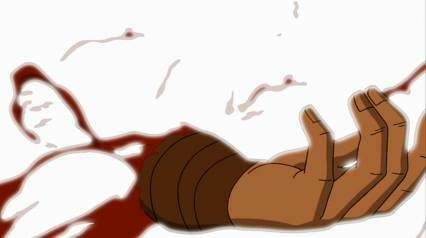 However, in the movie, Turok is…well, I already said. “Angry and violent and moody” – cast out from his tribe, nearly everyone he loves dies, etc., so I guess he’s got good reason to be a bit on the miffed side. Yeah, that’s the comic that came with the “protective” white wraparound cover warning of the “graphic image” hidden therein. Yeah, we all thought it was dumb then, too. Yeah, I’m demanding realism from my “Indians fighting dinosaurs” movie. On second thought, maybe that was a good thing. Also included on the disc is a 20-minute documentary giving an overview of the character’s history, focusing mostly on the comics and cast/crew interviews for the film, with only passing mention of the video games. 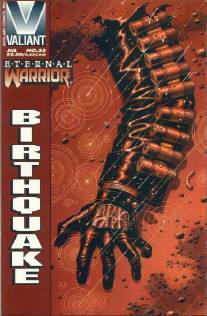 At one point it is mentioned, with a straight face, that the first Valiant Comics issue of Turok sold 1.7 million copies, leaving unmentioned that many of those copies ended up unsold and dumped in bargain bins, as the comic was over-ordered for an investor market that had mostly abandoned Valiant by that point. Or maybe is was mentioned…there were plenty of obvious edits in the interviews. 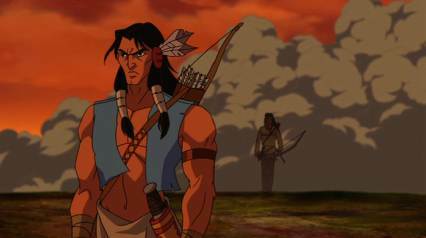 But there’s a lot of talk about the origins of the character, with several contributions by comics writer/historian Mark Evanier, and there are even a few words from the Native American advisor on the film, who made sure the costumes and weapons were reasonably correct.